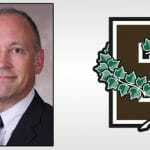 PROVIDENCE, R.I. – Alex Ripa, an assistant coach for Brown the last three seasons and the owner of the Rhode Island Fencing Academy and Club, has been named the fencing head coach at Brown University, Bears’ Director of Athletics Jack Hayes announced on Thursday. As an assistant coach at Brown, Ripa helped guide All-American Simon Jones ’16, five NCAA qualifiers, and two All-Ivy performers in 2014-15 while mentoring the NFC Men’s Player of the Year, Barrett Weiss ’15, and the NFC Women’s Rookie of the Year, Clarissa Allen ’18. In 2015-16, he coached Jones as a repeat NCAA All-American and Umar Masood ’19 as the NFC Men’s Rookie of the Year. During the 2016-17 season, he helped Masood make his debut as an NCAA qualifier. A former assistant coach at Harvard University from 2009-13, Ripa helped the Crimson make multiple appearances in the NCAA Championships and guided numerous student-athletes to All-America honors. Ripa presently coaches successful international competitors, members of the U.S. Cadet and Junior World Teams, and Ivy League and NCAA champions. His students hold international rankings and top positions in the U.S. national point standings. Ripa holds coaching certifications through the United States Fencing Association and the United States Fencing Coaches Association, which is recognized by the Academie d’Armes Internationale. 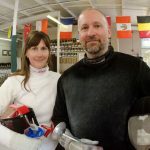 His coaching philosophy centers on athlete individuality, and he has created a remarkably successful physical and mental fencing training program that succeeds in producing champions in life, as well as in fencing. Originally from Portsmouth, R.I., Ripa graduated from the Massachusetts College of Art in 1995.